Well it seems like summer is finally over in Beijing. After months of sweltering temperatures, we had a few days of rain and suddenly the air is fresh and cool. I’m embracing the opportunity to wear neglected skirts, leg warmers and jumpers before a sudden snow storm will announce the arrival of winter – when fashion goes out the window in favour of not dying of hypothermia. 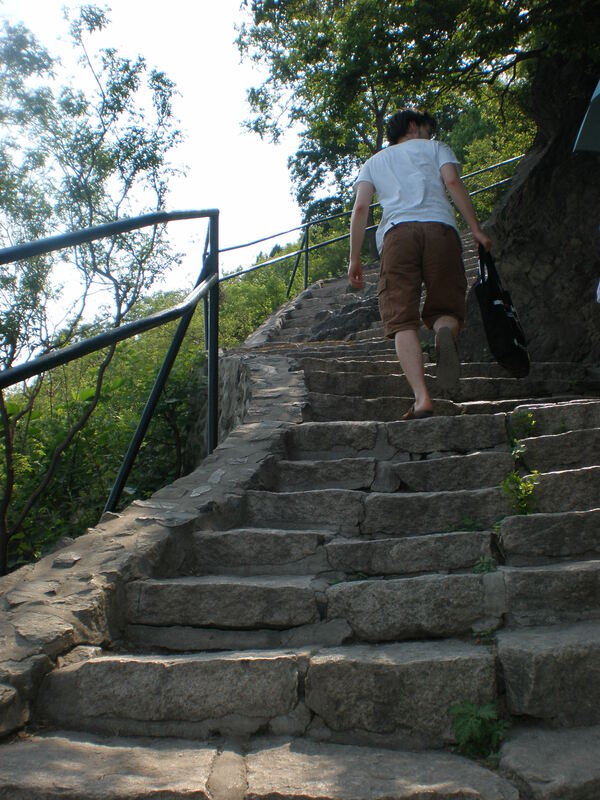 I feel like this year we took advantage of the summer by taking some small hiking trips out into Beijing’s outskirts. 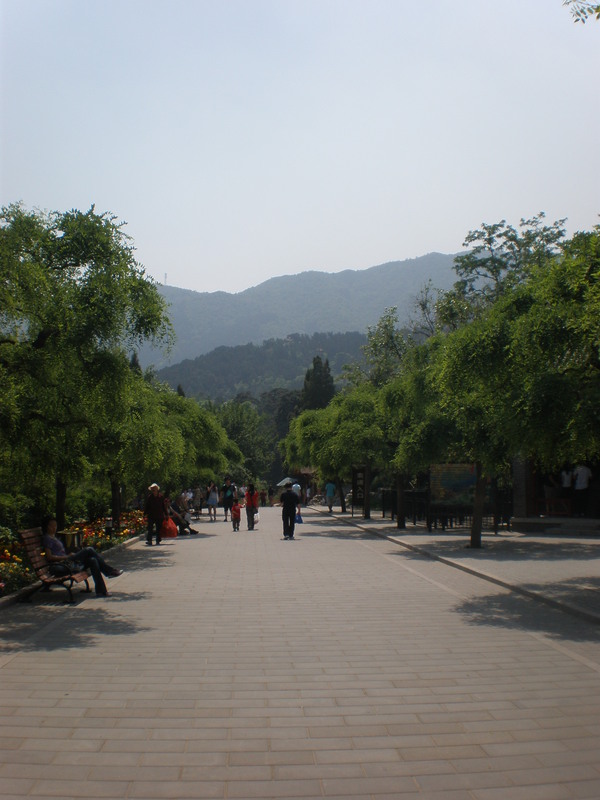 The first one we took was to the well know Fragrant Hills 香山. More like mountains than hills, the Fragrant Hills are in all the guide books and most tourists to Beijing manage to make a visit. 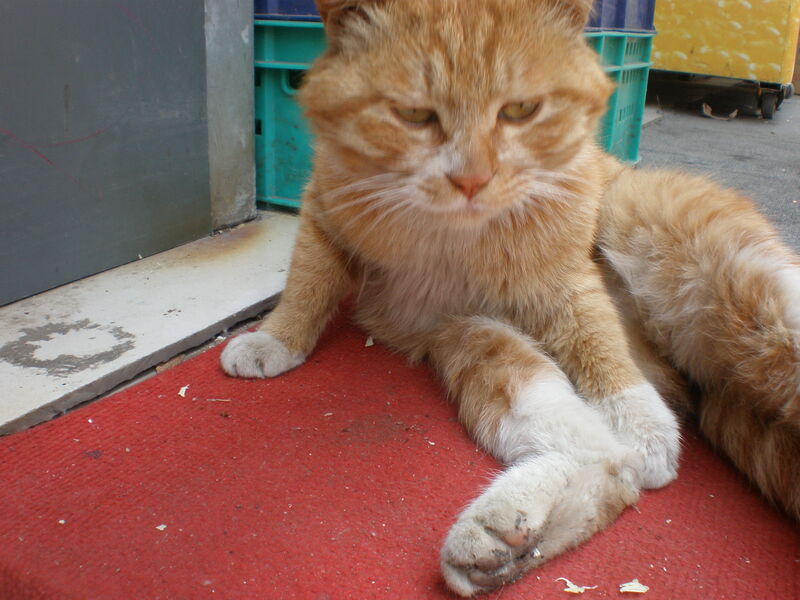 However, despite having been here nearly 2 years, I’d never been. 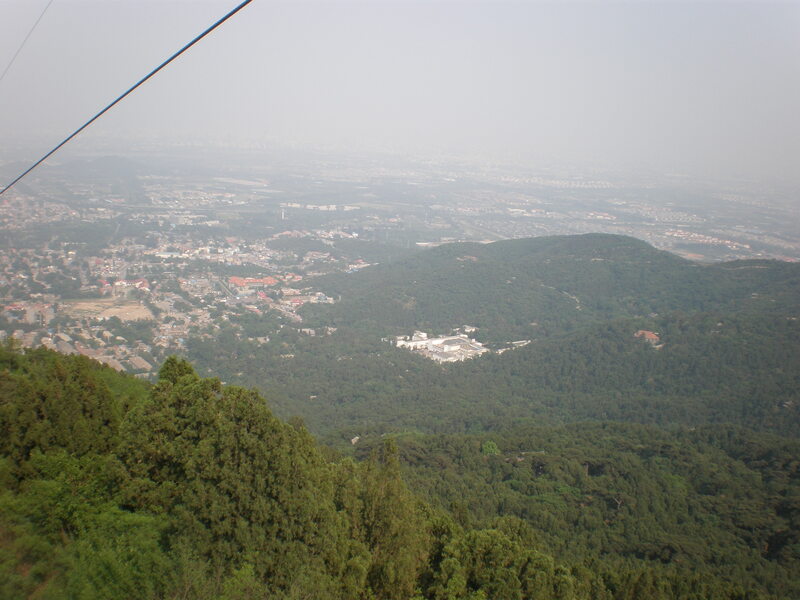 Although metropolitan Beijing is as flat as a pancake, the city boasts a fine range of mountains along its northern and western horizons. 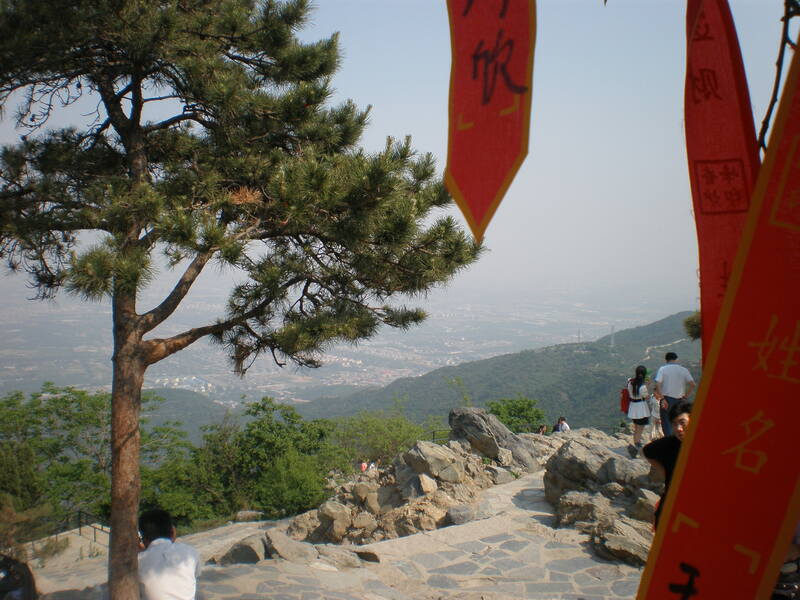 The Fragrant Hills mark the beginning of the Western Mountain range and are the closest to Beijing. The park complex has a long, though shattered history. 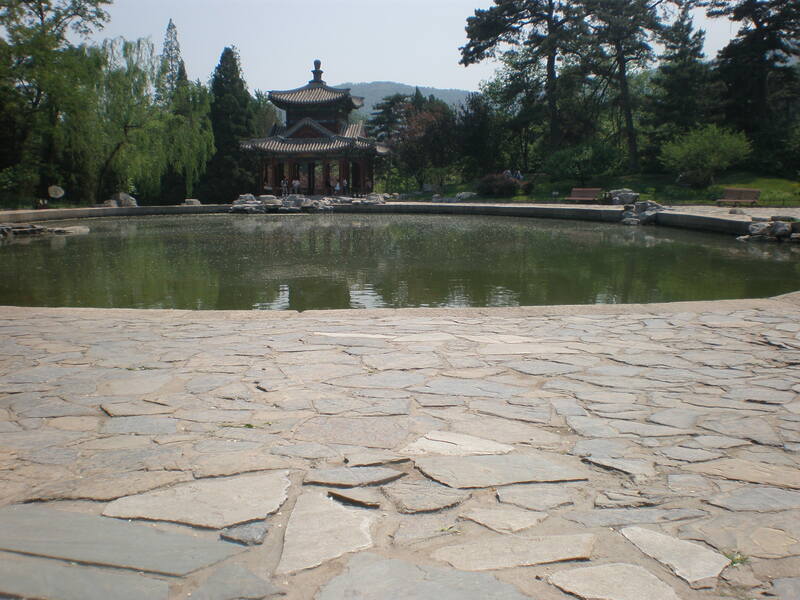 Originally built for the emperor in 1186, the park complex was given an upgrade in 1745 and expanded. And then in 1860 it was destroyed by British troops and in 1900, it was further destroyed by the Eight-Nation Alliance (of which Britain was also part of). Many of the relics that were destroyed have not been restored and are left as reminders of the humiliation at the hands of foreign powers. 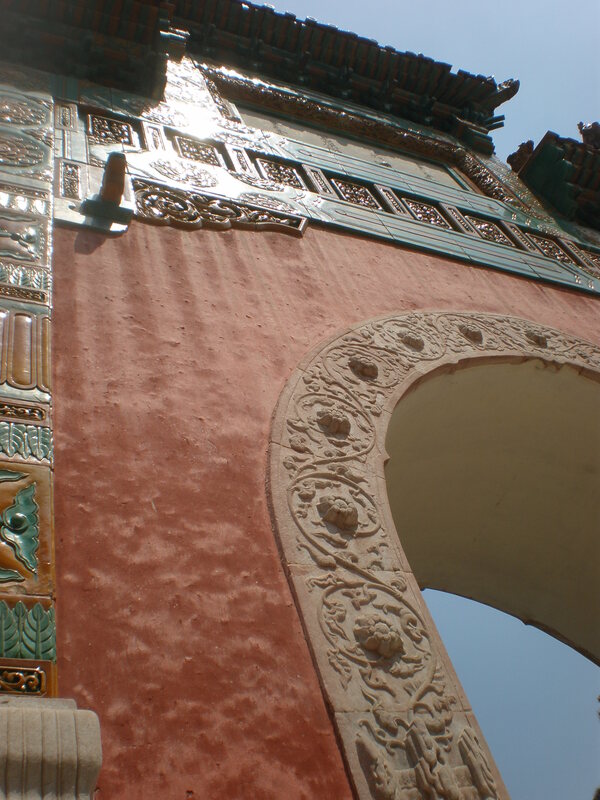 The Bright Temple is a standout landmark within the park. 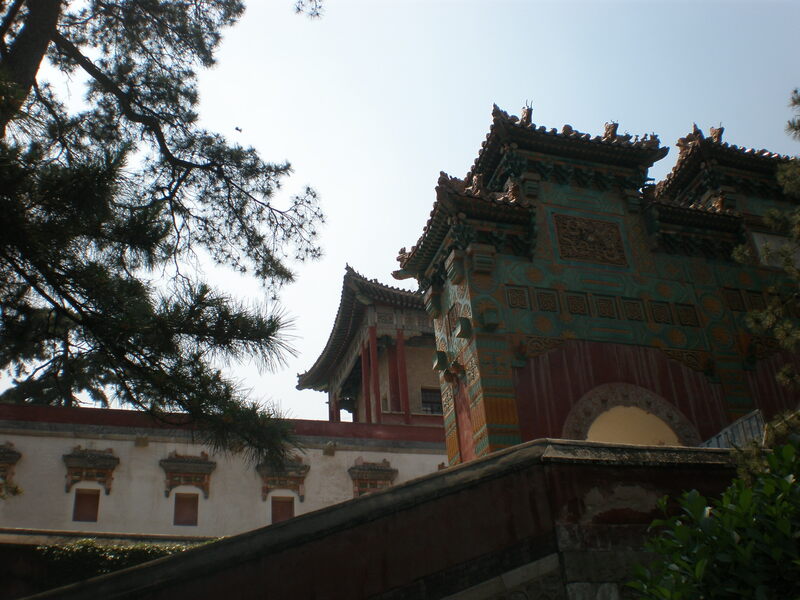 It was built in 1780 as a place for the 6th Panchen Lama to stay during his visits to Beijing. It was burned down less a century later. 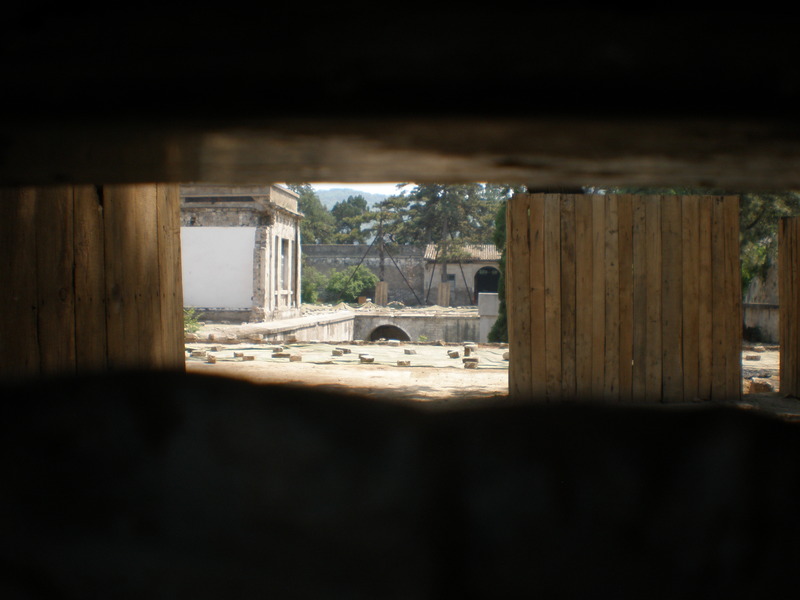 Although the outside of the temple appears fairly intact, the inside tells a different story. 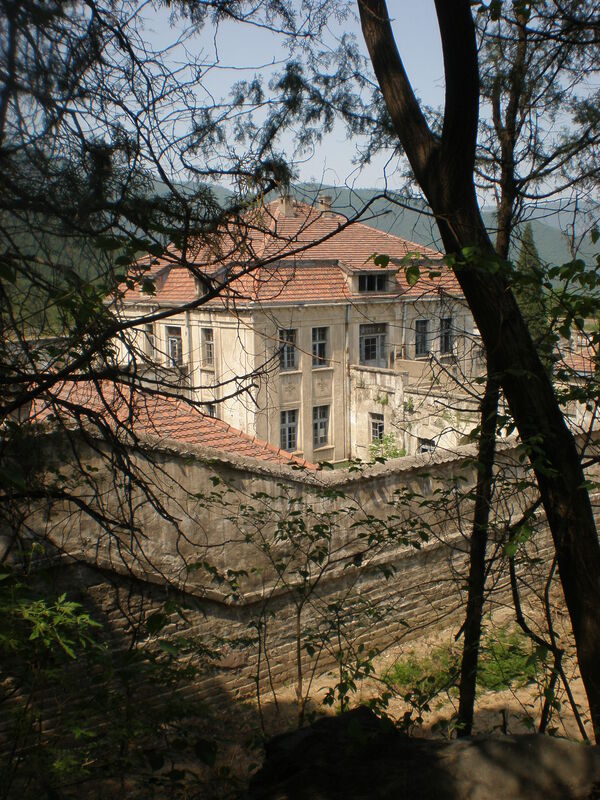 The inside of the compound was burnt down and a European style mansion was erected inside. 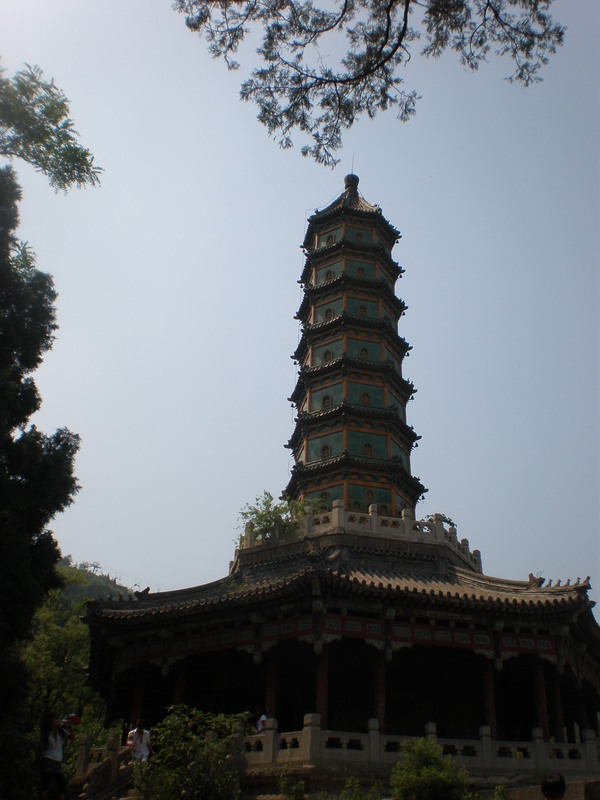 This pagoda, however, seemed to be one of the few relics that didn’t get torched by British troops. The relics that were destroyed are left as reminders of what a world conquering savages Britannia was in the 1800 and early 1900s. 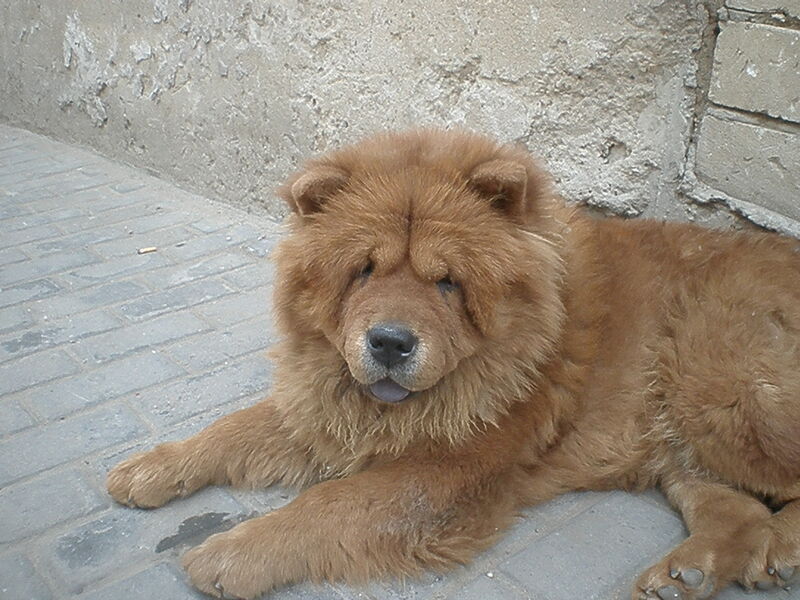 I was aware of the destruction caused during the Opium War, but not really the full extent. The knowledge I had was all gleamed from independent reading, rather than being something I was taught at school. Despite its sobering history, the park isn’t a depressing place and is a great place to flee to when you want to escape the congested and completely flat streets. 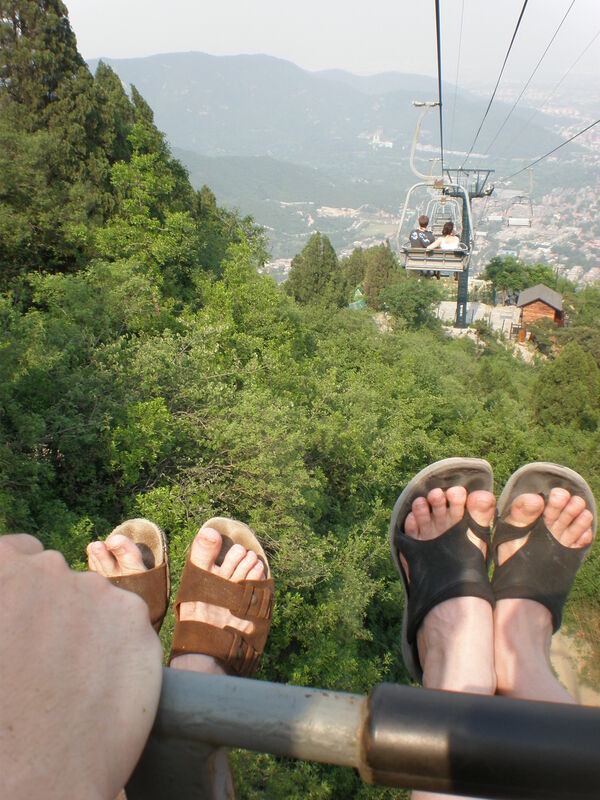 Faced with the prospect of having to walk down the knee shatteringly steep mountain, we bailed and took the open air cable car. 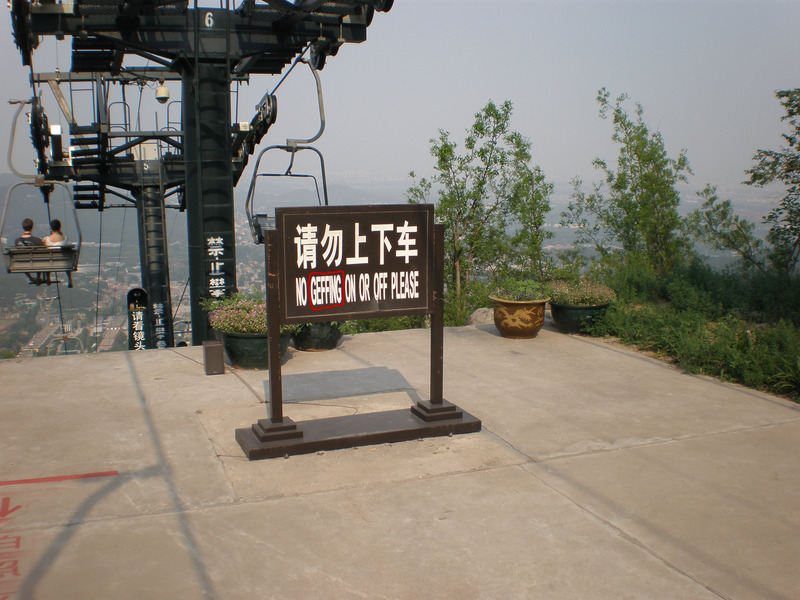 The sign warned us not to ‘geff off’ – here was also where a hidden camera snapped an unflattering picture of people the riding the cable car. 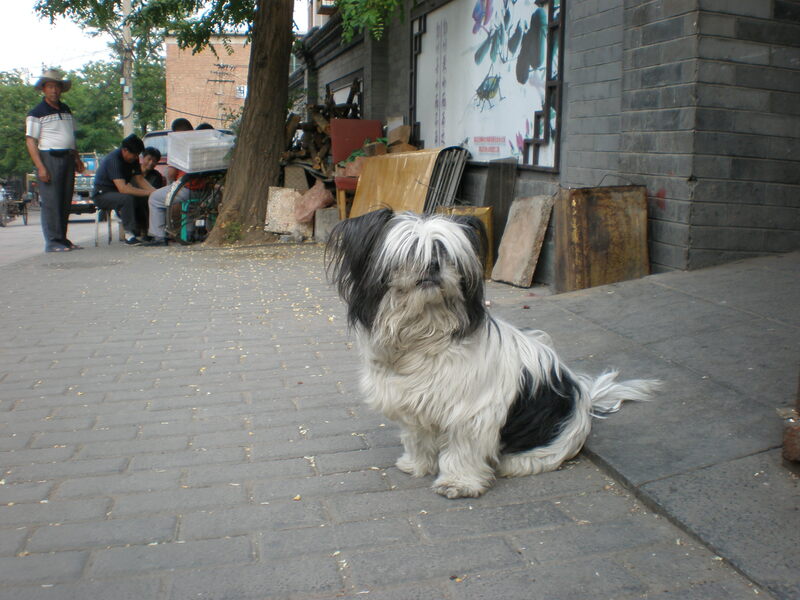 The road leading away from the park was dotted with food stalls and tourist shops, as well as adorable cats and dogs enjoying the late afternoon sun.